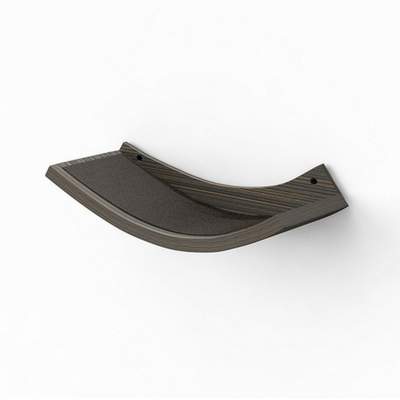 The Urban Pet Haus Wave Cat Perch, Small is a beautifully designed piece of functional cat furniture that you’ll love just as much as your cat. 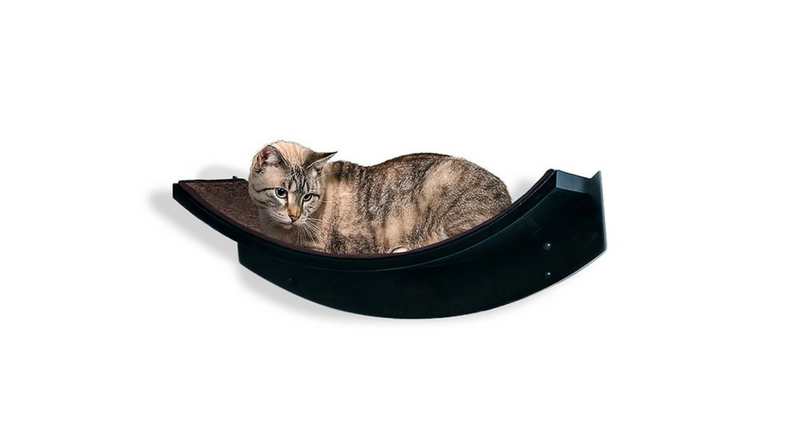 The small Wave Perch makes the perfect nest for your cat to lounge. 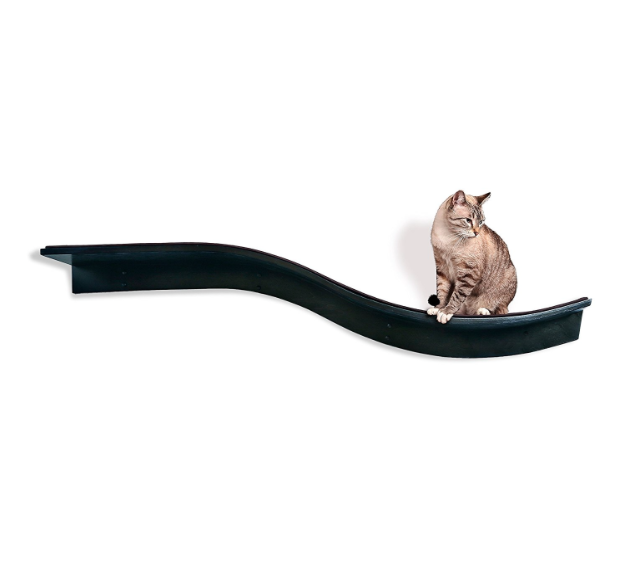 The Urban Pet Haus Wave Cat Perch comes in two sizes – Small and Large. 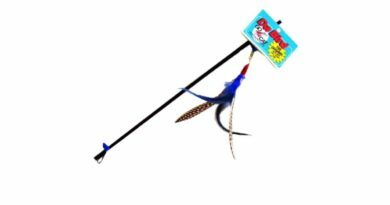 This review is focused on the Small Wave Perch. 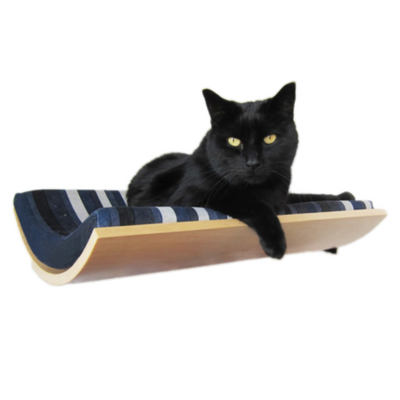 The Urban Pet Haus Wave Cat Perch is made of wood veneer and has a dark zebrawood engineered finish. The top surface is covered with dark brown felt padding that is glued on. Mounting hardware and a full-size cutout of the shelf are included. Installing the Urban Pet Haus Wave Cat Perch is very straightforward thanks to the handy full-size cutout that is provided with the instructions. Once you locate the studs in your wall, use the cutout to figure out where you want to place your shelf and mark the holes. The pre-drilled holes in the shelf are thoughtfully spaced 16” apart so it can be mounted on the wall beam or stud. 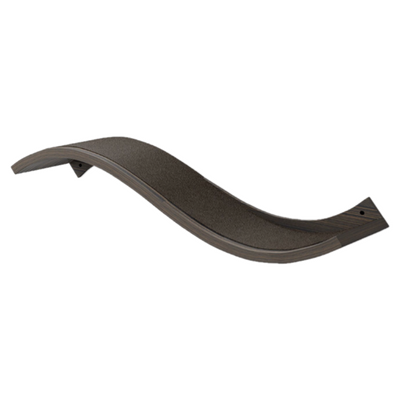 The elegant curved design of the small Urban Pet Haus Wave Cat Perch is attractive enough to pass as modern artwork. 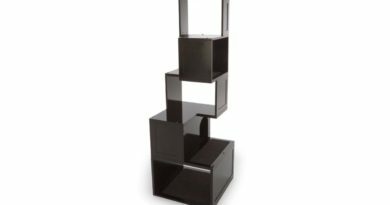 When combined with other Small Wave Perches or the Large Wave Perch this shelf looks really impressive. The dark ebony finish is very attractive and looks nice in a variety of settings. 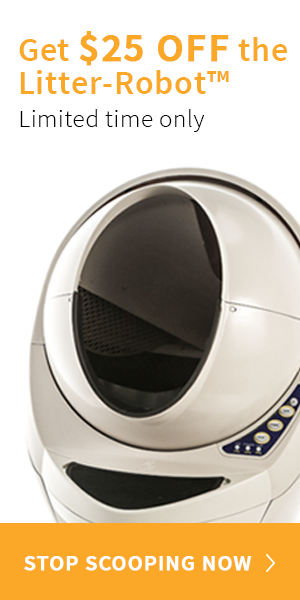 We hope Urban Pet Haus will expand this line of cat furniture to include other finishes. 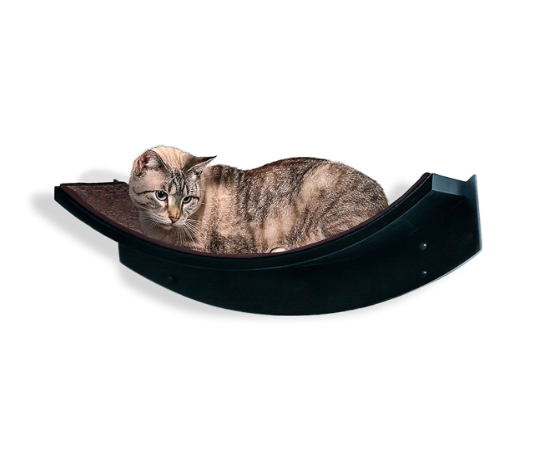 The curved design of the Urban Pet Haus Wave Cat Perch, Small makes it an ideal spot for your cat to lounge. The felt surface provides comfort and traction. 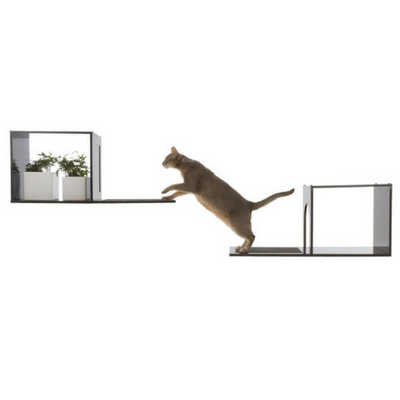 At nearly 2 feet in length, this cat shelf is plenty large to accommodate just about any sized cat. 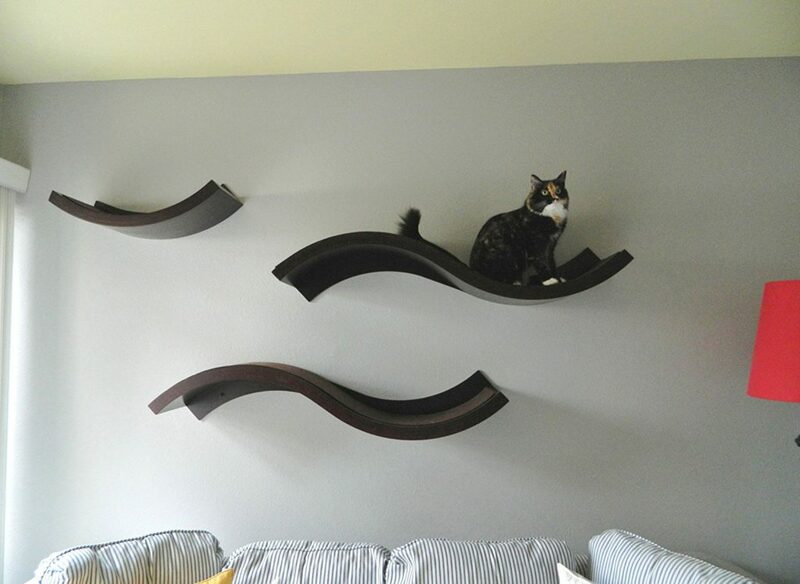 To make this shelf even more appealing, combine multiple shelves like steps to give your cat even more space to climb. 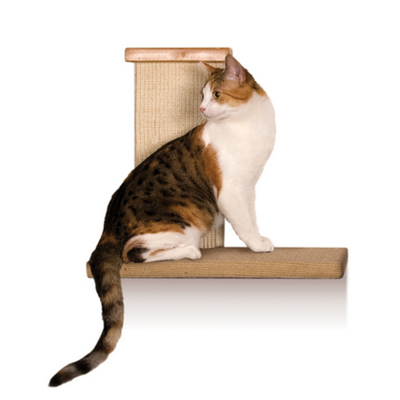 The quality of the Urban Pet Haus Wave Cat Perch is very high. The furniture-grade veneer is heavy-duty and very well made. The felt pad and wood finish are handmade and will vary in color from batch to batch. So keep that in mind if you decide to purchase multiple Wave Perches. Our only quality complaint with this cat shelf is with the felt covering. Felt is generally not a material cats like to scratch, so we understand why Urban Pet Haus chose this material. 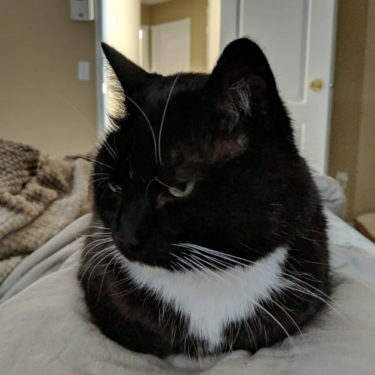 But all cats are different and a number of owners have complained that the felt doesn’t hold up well. 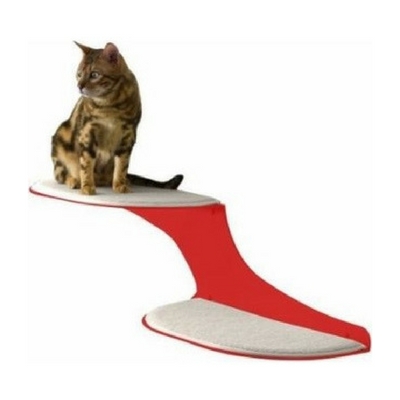 Even if your cat doesn’t scratch at the felt, just jumping and climbing seems to wear down the felt. The felt is glued on and replacing it is no small task. 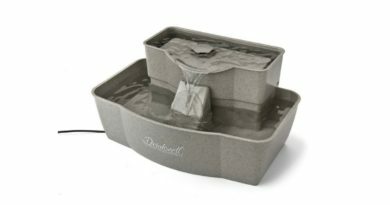 Urban Pet Haus sells replacement felt pads in a set of 2 for $15 on their website. 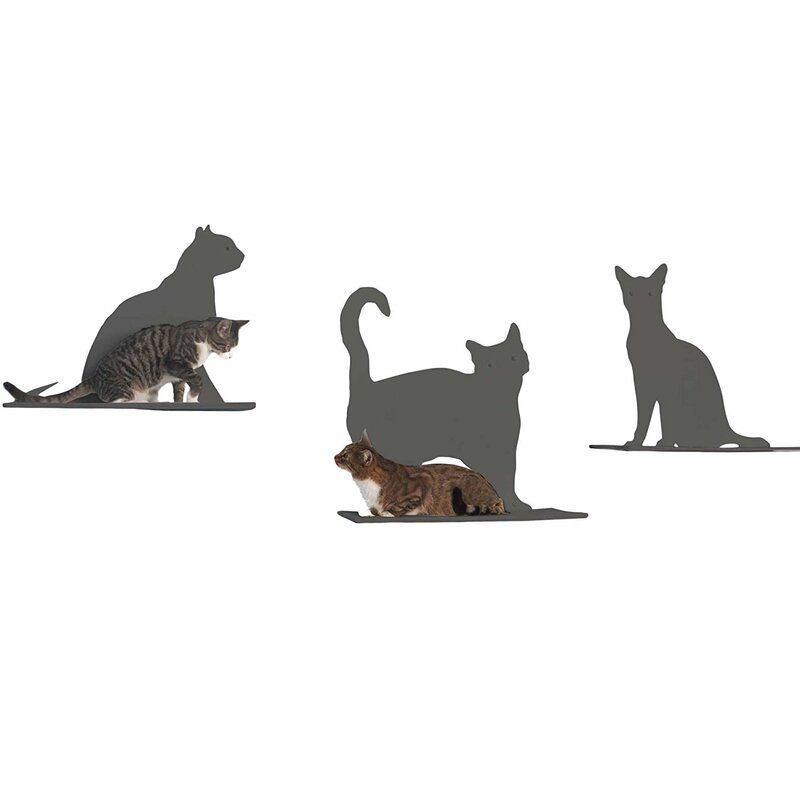 The Urban Pet Haus Wave Cat Perch, Small is a beautiful piece of sophisticated cat furniture that your cats will really appreciate. And as long as they don’t scratch at the felt surface, this cat shelf should last a very long time. 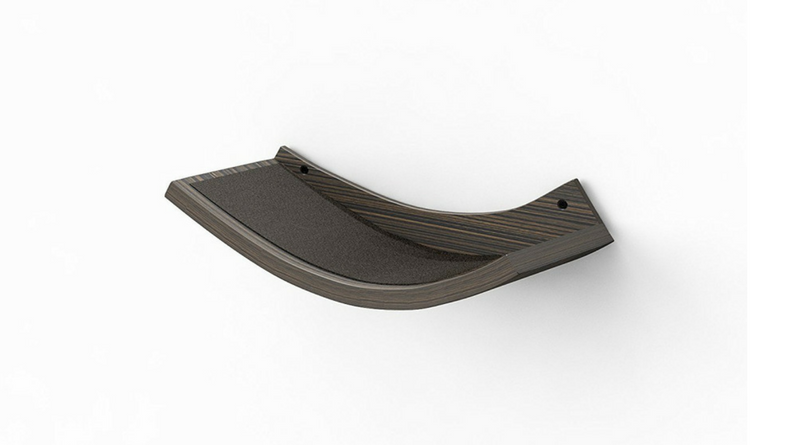 We’re not sure which cat shelf came first, the Urban Pet Haus Wave Cat Perch or the Refined Feline Lotus Leaf, but it’s hard to ignore the similarities. 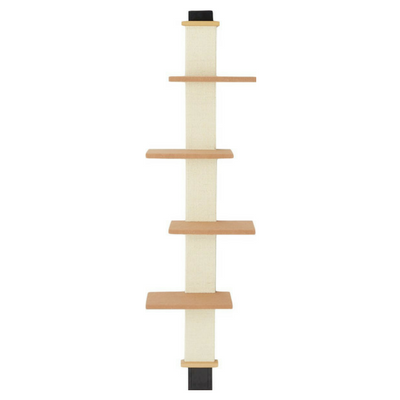 If you’re trying to determine which family of cat shelves is right for you, here’s a quick comparison of the two cat shelves.